Take one bowl, mix well all the ingredients for stuffing together. keep aside. Cut brown breads into sticks. Take another bowl, add corn flour, water, salt, pepper powder and mix well and make thin batter. Take one bread stick, apply sufficient stuffing, deep it into cornflour batter. 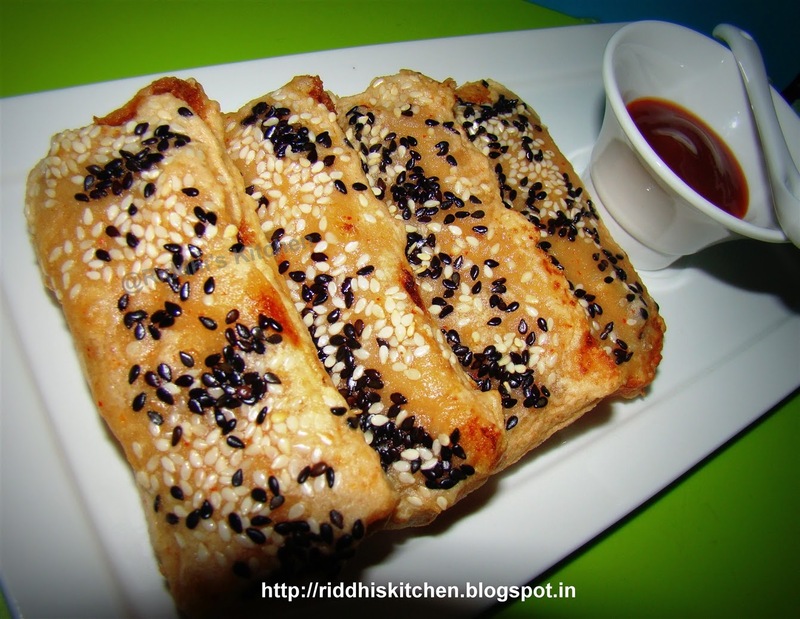 Sprinkle white and black sesame seeds and deep fry till golden brown. Do same process with remaining bread sticks. Serve hot with tomato catch-up or sweet chilly sauce or as per your choice.